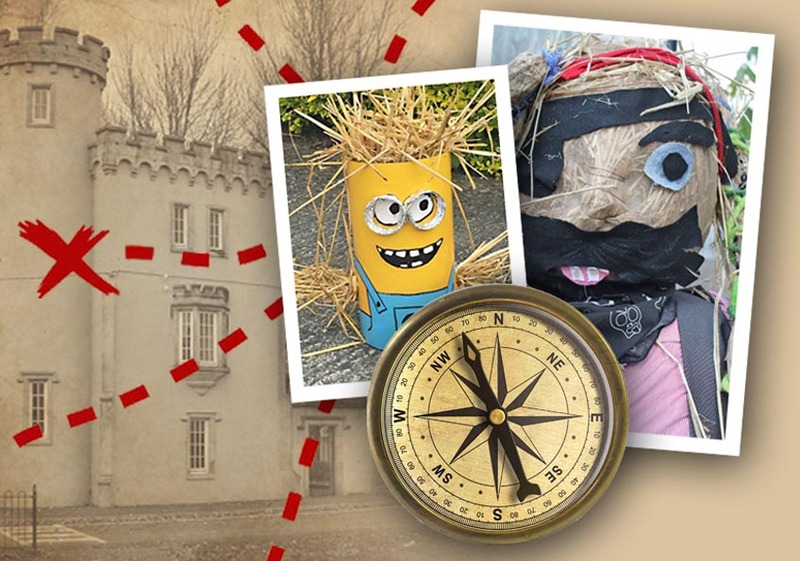 The family Treasure Hunt around Durrow Village for The Durrow Scarecrow Festival is always a big hit with families. Collect your Treasure Hunt sheet with all the clues at the Scarecrow Village entrance, head out, take in all the scarecrows in the Scarecrow Trail and complete the hunt – lots to see and do! No time limit. When you are finished and you have succeeded in finding all the hidden objects or places by following our tricky clues, return the completed Treasure Hunt sheet to the desk at the entrance to the Scarecrow Village. The winning entry will be that with the most correct answers. If more than one entrant has the same number of correct answers the names will be put in a hat and a winner picked. We will contact the winner with a little prize when the festival is over. Enjoy and Stay Safe!